MEET: Saturday, August 16, Albertson on Lily. Cars leave at 12:30 p.m..
RETURN: Sunday, August 17, 2014 2:30 p.m. MEALS: Patrols will make meal plans. 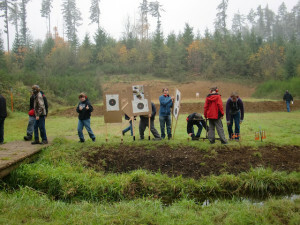 Our Shooting Sports Weekend is scheduled for August 16-17, 2014. We will depart the Albertsons Parking Lot on Lily at 12:30 p.m. on Saturday, August 16th. We should return back to the parking lot at 2:30 p.m. on Sunday, August 17th.